The racing driver Sabine Schmitz has tested the Furtive eGT, an electric car outfitted with Siemens' motors, on the "Nordschleife" (north loop) of the Nürburgring. This circuit, nicknamed the "green hell", is considered the ultimate performance test for a sports car. 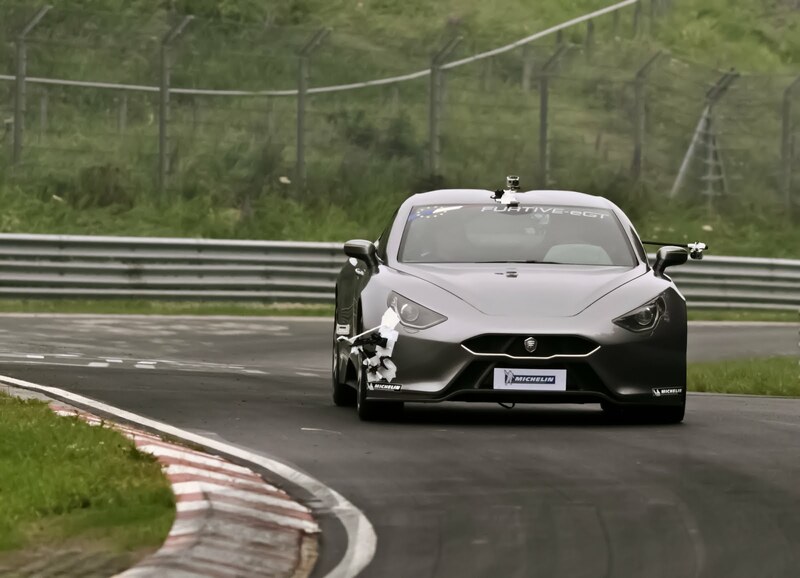 The Furtive eGT, from the French automobile manufacturer Exagon Motors, achieved a top speed of nearly 240 kilometers per hour on the 20 kilometer long Nordschleife. In collaboration with Siemens, Exagon intends to build a small production series of the Furtive eGT starting in 2013. Siemens and Exagon have been cooperative partners for a number of years at the well-known Andros Ice Race for electric vehicles. Electric cars are quiet and produce very little emissions, but up to now they haven't had a very sporty image. Recently, however, a number of electric vehicles have been developed that seek to combine comfort, performance and environmental protection. With the Furtive eGT sports car, Siemens has the opportunity to demonstrate the efficiency and performance of its motor technology. The Siemens global research unit Corporate Technology developed the power train and built a prototype. The electric motor experts from Siemens Drive Technologies will be able to combine this know-how with their own product experience to meet the agreed upon 2013 production launch. At only 52 kilograms, the motor is one of the lightest and most compact units on the market. But that doesn't mean it's not powerful. During the test on the Nordschleife it produced 125 kilowatts of power - which is to be increased to 148 kilowatts. This high power density is combined with a very high energy conversion efficiency of up to 97 percent. With two of these motors the car will produce two times 148 kilowatts, in other words 402 horsepower. It will accelerate from zero to a hundred kilometers per hour in 3.6 seconds and have a top speed of 287 kilometers per hour (178 mph) on the racetrack. On public roads the speed will be limited to 250 kilometer per hour. The eGT's range as a purely electric car is up to 400 kilometers, depending on the driving style employed. The installation of an optional "range extender" and a 25-liter tank will allow the electric sports car to cover more than 800 kilometers. A special feature of the Furtive eGT is its three-speed transmission, which harmonizes well with the Siemens' control strategy for rapid shifting.